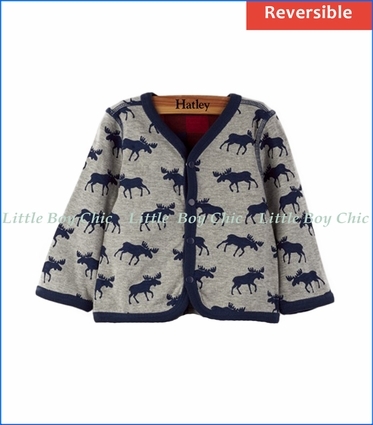 You'll never cry over spilled milk or bits of food with this reversible cardigan by Hatley. Made with super soft bonded cotton with a modern moose print on one side and a buffalo plaid on the other, simply flip this cardigan inside out to create a whole new look. Long sleeve reversible cardigan with snap closure on front. Neckline, hem and cuffs all clean finished with contrast binding trim. One side has contrast elbow patch while other side has elbow patch outlined in stitching. 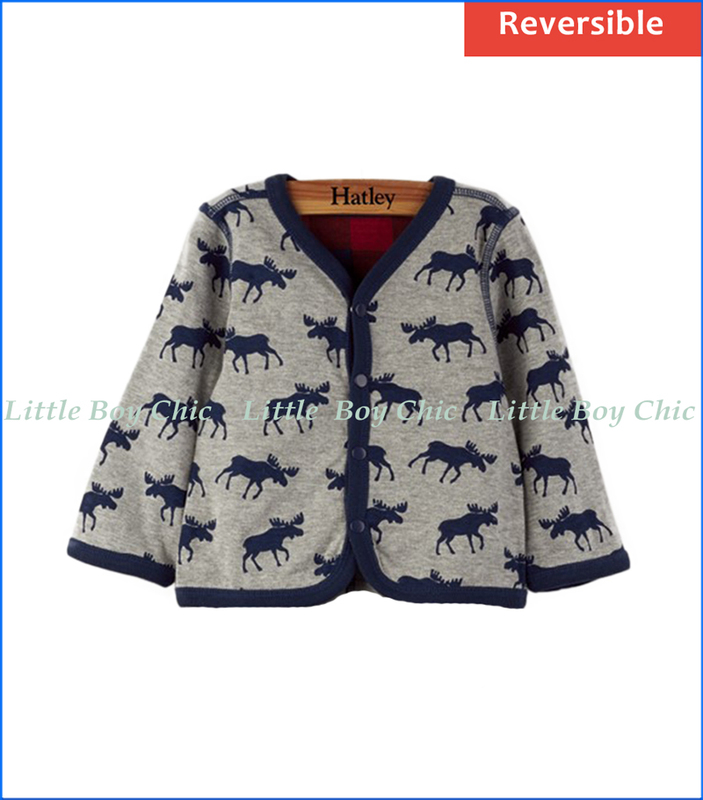 Pair with Hatley's matching Reversible Roaming Moose & Plaid Pants.